Second Life's Just Genealogy community has regained strength, over the summer, no less. That's usually when stats are down for online webinars, hangouts and chats, probably because school's out, and everyone is going on research trips and vacations. 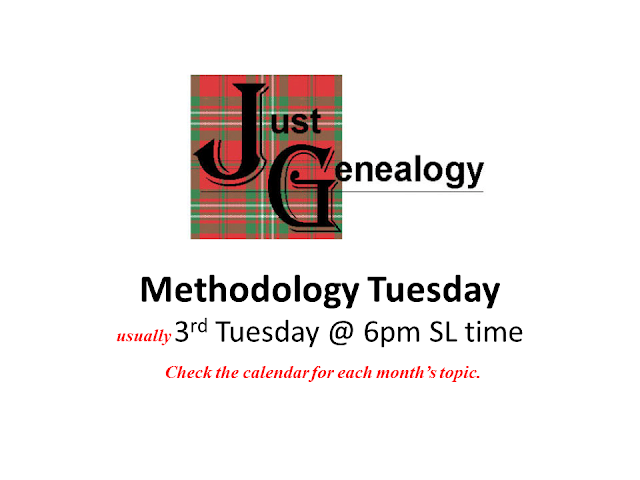 In just a few hours Clarise Beaumont, my svelte blond avatar, will host a group discussion about research logs for Methodology Tuesday. We will be using voice chat, and yes, we can also tour the web live using our new viewing screen. 2. Download the Second Life software to your computer. 3. Click on the link above for the Just Genealogy Fire Pit and we'll meet you there!